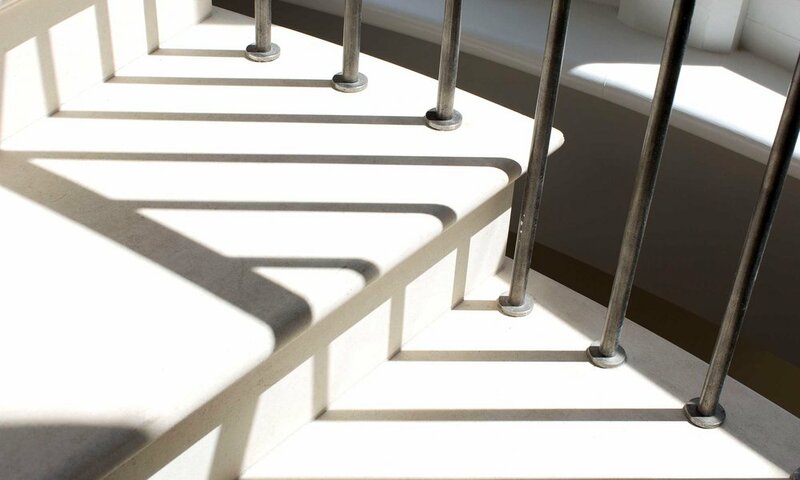 This elegant and innovative 2 flight, circular, post tensioned, stone staircase was designed in our classic style and manufactured in Combe Brune limestone. 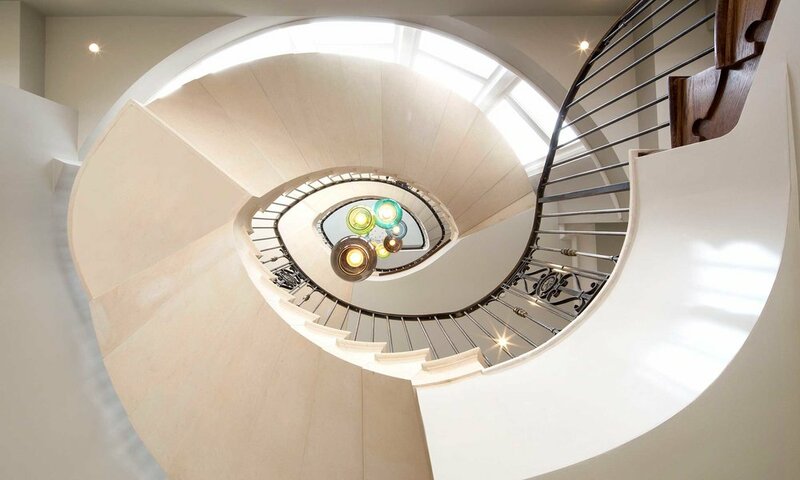 A key feature of this staircase is the half landing, which we believe to be the first half landing to be incorporated into the middle of a post tensioned stone staircase at the time of design. It also features balustrading works completed by an external partner..